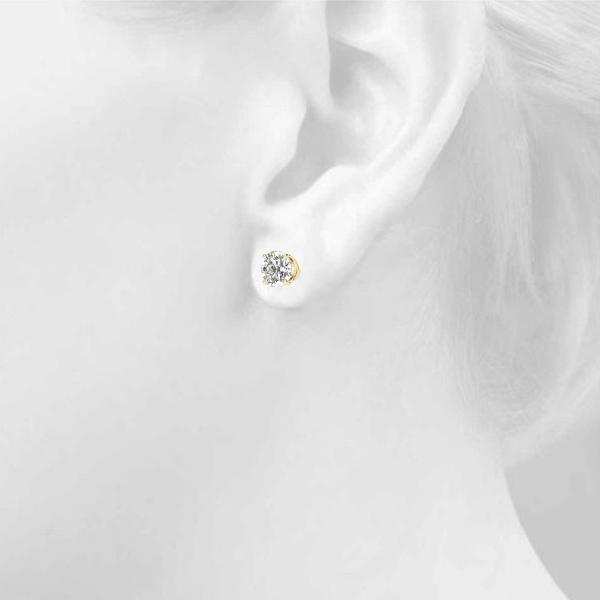 Round Stud Earrings 0.1 Ct.
A beautifully matched pair of round cut white diamonds, 0.05 ct. each, prong set in a 14 karat white gold setting with screw back posts for maximum security. Available in other metals and all other diamond or gem stone, size, shapes and qualities. 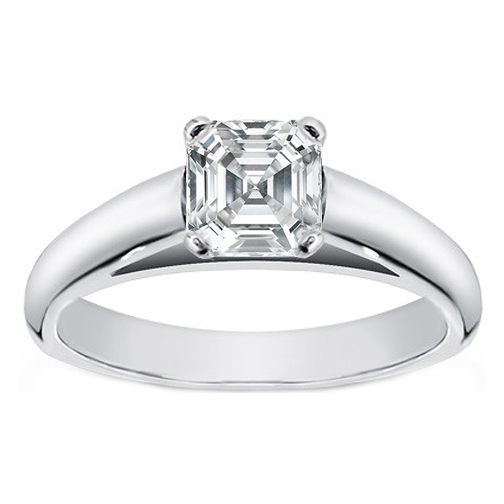 This 14 karat white gold solitaire Asscher diamond cathedral engagement ring setting accommodates a round diamond of any size. Also available in yellow, rose/pink gold and in platinum. 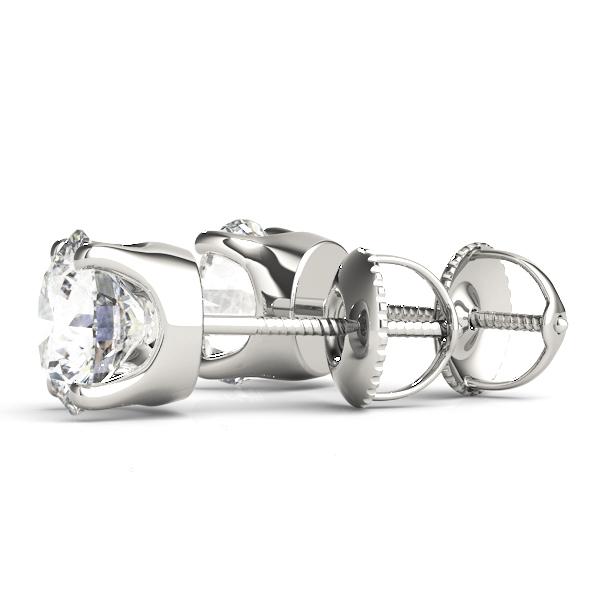 Available for other shaped diamonds as well. 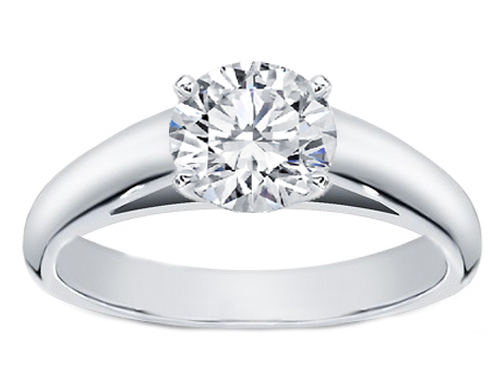 This 14 karat white gold solitaire Round diamond cathedral engagement ring setting accommodates a round diamond of any size. Also available in yellow, rose/pink gold and in platinum. 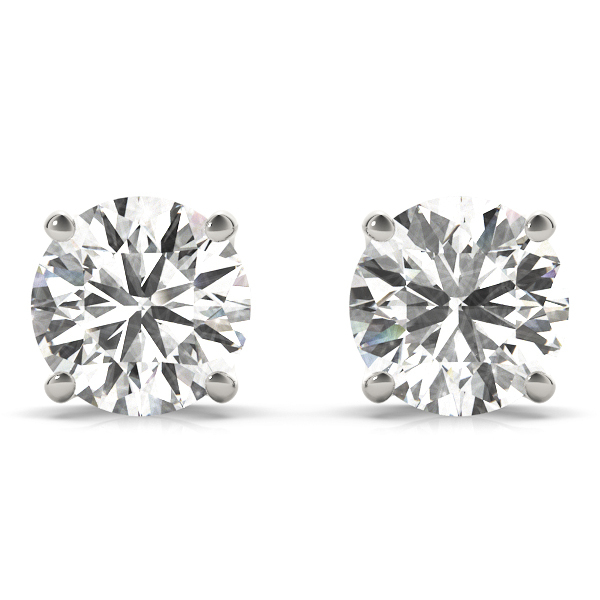 Available for other shaped diamonds as well. 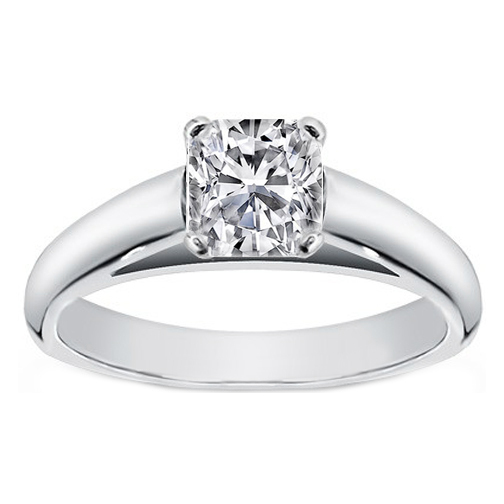 This 14 karat white gold solitaire Cushion diamond cathedral engagement ring setting accommodates a Cushion diamond of any size. Also available in yellow, rose/pink gold and in platinum. 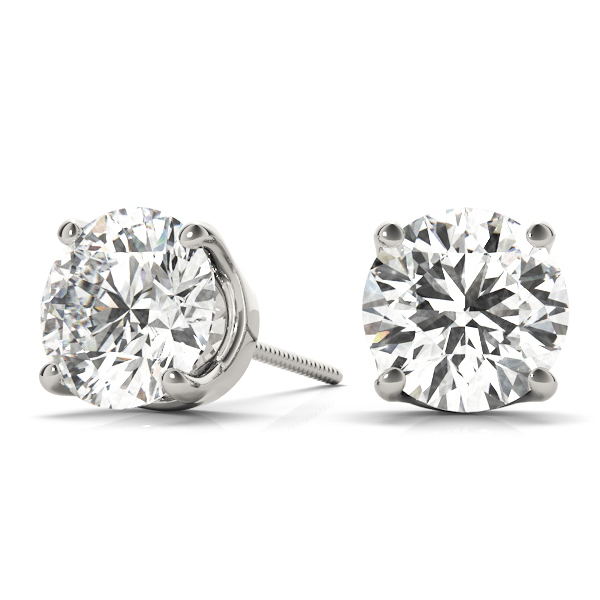 Available for other shaped diamonds as well. 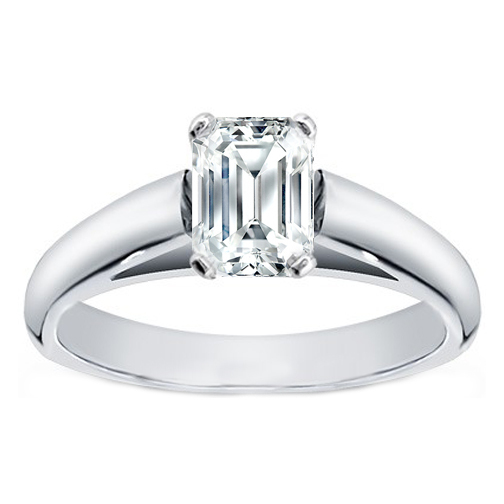 This 14 karat white gold solitaire Emerald Cut diamond cathedral engagement ring setting accommodates a round diamond of any size. Also available in yellow, rose/pink gold and in platinum. Available for other shape diamonds as well. 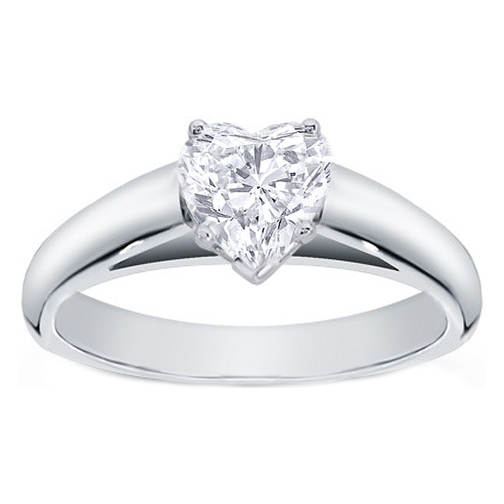 This 14 karat white gold solitaire Heart Shape diamond cathedral engagement ring setting accommodates a round diamond of any size. Also available in yellow, rose/pink gold and in platinum. 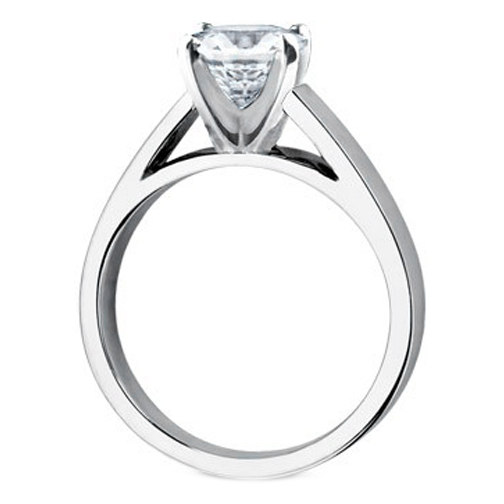 Available for other shaped diamonds as well. 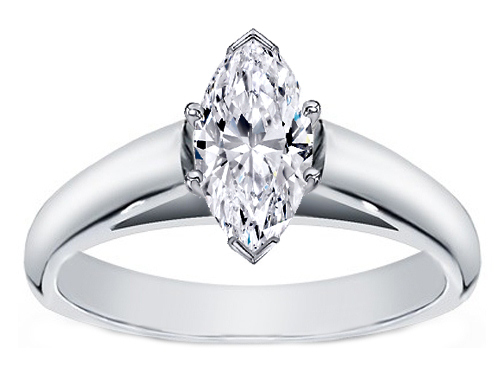 This 14 karat white gold solitaire Marquise diamond cathedral engagement ring setting accommodates a round diamond of any size. Also available in yellow, rose pink gold and in platinum. Available for other shape diamonds as well. 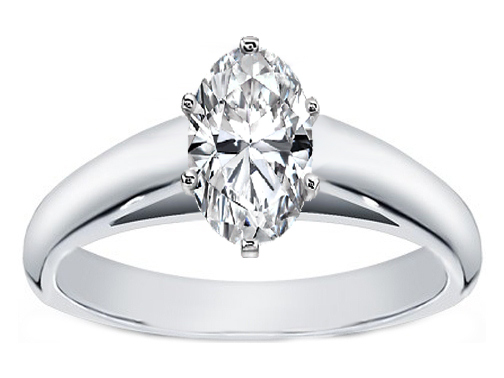 This 14 karat white gold solitaire Oval diamond cathedral engagement ring setting accommodates a round diamond of any size. Also available in yellow, rose/pink gold and in platinum. Available for other shape diamonds as well.